You must make reservations at least 5 minutes in advance of the time at Foraged. foraged. 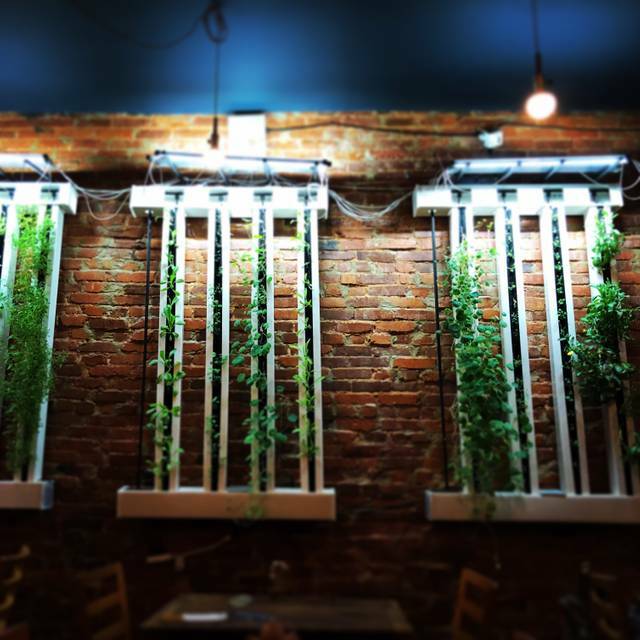 is a hyper-seasonal eatery located in Baltimore, MD, featuring the foraged and farmed New American cuisine of Chef Chris Amendola. One of our favorite restaurants in Baltimore! Always very creative and delicious! Emphasis on fresh seasonal ingredients makes for a concise menu with various vegan options. Dishes are organized into three plate sizings which basically allows for a mix and match capability to sample a number of offerings. The food itself was very well done, in particular we enjoyed the fried oysters and the jewel-box egg, both of which showed off the kithcen's ability to deliver a crisp fried surface with a delicate and soft inside. Squid salad was also a big hit. The wine list is reasonable, and the chocolate pot du creme was a tasty end to the meal. Truly an unusual place--mushroom stew is fantastic. We've had it twice. Service is excellent. A quiet light supper. We all had the scallops and the chocolate pot de creme. Wine was half priced. Excellent dinner. Nice informal atmosphere. Thought the menu was very limited and got no suggestions or help with it… And the wine menu was very expensive and got no suggestions with that either. My worst restaurant experience in years. New York prices and tiny portions. TWO scallops in a spoonful of hominy and onion pistou, oh so artfully decorated with a couple of sprouts were $17. They were small scallops, too. It wasn’t enough to be an appetizer, much less a small plate. I felt robbed. The waiter made himself scarce after he served that little dish. I’d have been embarrassed to have presented it. This experience was nothing more than robbery in a hipster setting. Everything was awesome. The limited menu was evidence that everything is made fresh and not pre-made. The locally sourced ingredients were impressive. The ambiance was welcoming and relaxing. Service was excellent. Not overly friendly, but professional. We will definitely be back again and again. 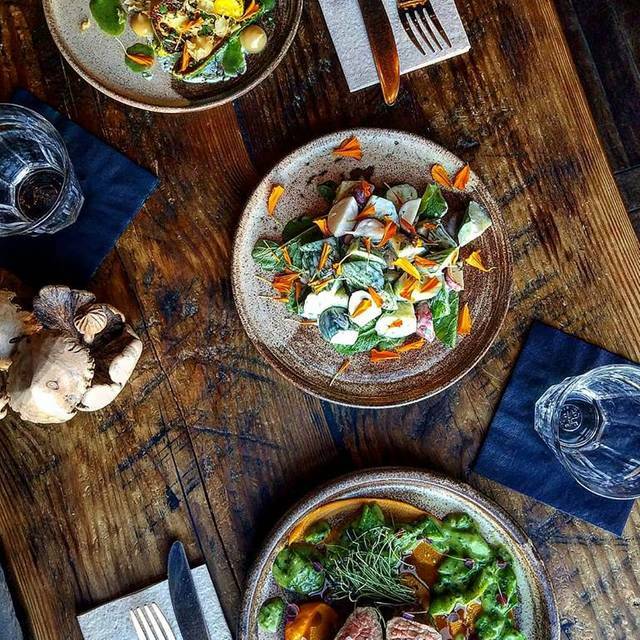 We love the food at Foraged. The pig specialties are very unique and quite tasty. The mushroom soup is the best I’ve ever had. Wines match the food nicely and not overpriced. The only difficulty is the noise level which could be reduced by using sound absorbing artwork. Great experience and great food makes for the best meal. 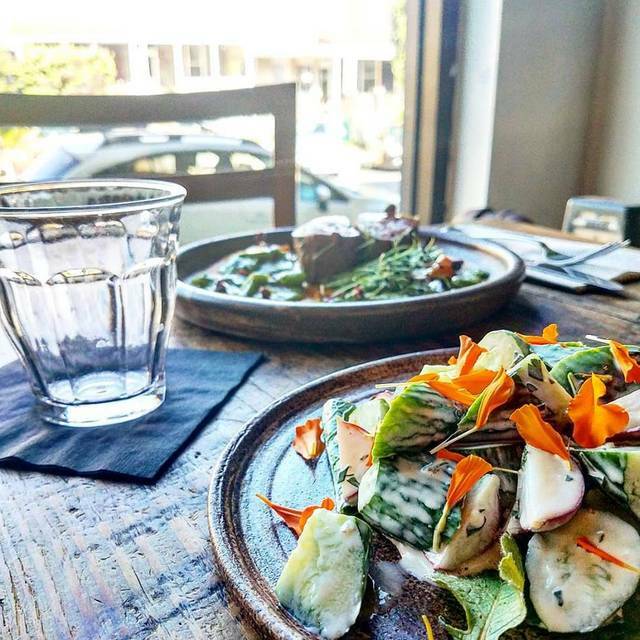 If you are an adventurous eater and would like to try dishes that are a little out of the ordinary then foraged.eatery is your place. Eaten here twice and enjoyed the meal both times. The food changes with the season, but if you have the chance to get the skillet cornbread do it - you will not be disappointed. Nice atmosphere, different concept, a true hidden gem in Hampden. Good meal, good service. Small space, but comfortable and welcoming. Food was good, but not memorable. Wine and beer available; no full bar. It was my wife and I’s first time here and we were very impressed. My wife is a “foodie” and twice I caught her saying “Holy S***” at how good a couple of her first bites were. I’m more of a quantity over quality guy, but we both left full, impressed and satisfied for less then we expected. Already excited about going back. 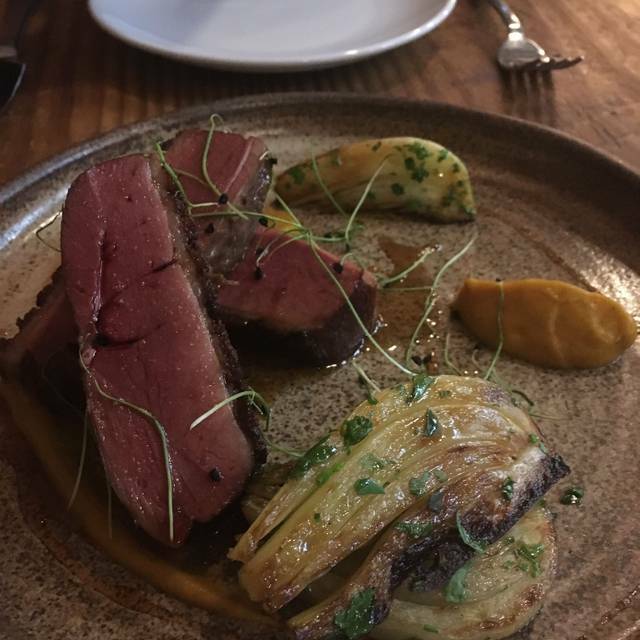 My family and I had a phenomenal meal at Foraged! We took full advantage of the Sunday night half-priced wine bottles, and toured the menu of carefully crafted treats. We couldn’t decide which dish we liked the best. The pig ears (I know-it sounds strange) were tasty and tender. The pork belly melted in our mouths, and the oysters were juicy and expertly prepared. Our waiter was attentive and friendly but not over-bearing. I went on a whim with my most dining-critical friend, who describes excellent restaurants as "satisfactory." She loved this place. She cleaned her plate completely, a thing I can't remember her ever having done before. Oysters were delightful and perfectly prepared, with unusual condiments that balanced somehow. Lamb neck with Brussels sprouts and pork loin with hominy were just plain delicious. Service was friendly, informative, and attentive. Prices weren't astonishingly low, but they weren't at all unreasonable. We will be booking a return engagement. Uninspired. The fried oysters were excellent but served room temperature. The rest of the food was ok. The grow lights were too white- this would have been more tolerable if they actually used the growing plants in the food, but they don’t. The harsh lights made the ambience uninviting. 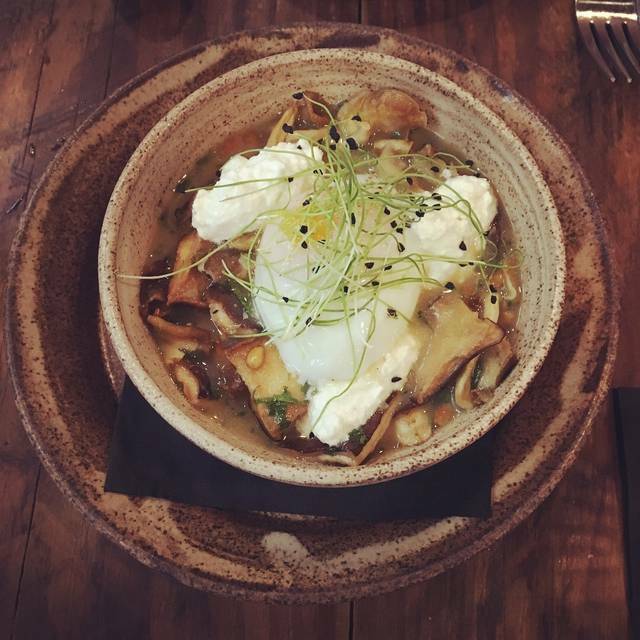 Mushroom stew was incredible / mind blowing! Everything was great. Although small, this restaurant shouldn’t be missed. Every bite of every dish was delicious. Very imaginative food and on Sundays, wine bottles are half price! The restaurant is small and intimate, the service is excellent, and the short rib coppa is one of the best prepared pieces of meat I've ever had. Good wine pairings. The mushroom stew was also excellent. We were in last Saturday with a friend from out of town. We shared about 7-8 things on the menu and everything we tried was out of this world. The mushroom risotto still has me in a good mood. I cant wait to go back again. The price was right and the food was amazing. Food was amazing. My cousin has a gluten/soy allergy. They were able to accommodate to her needs and modify the dishes to cater to her. 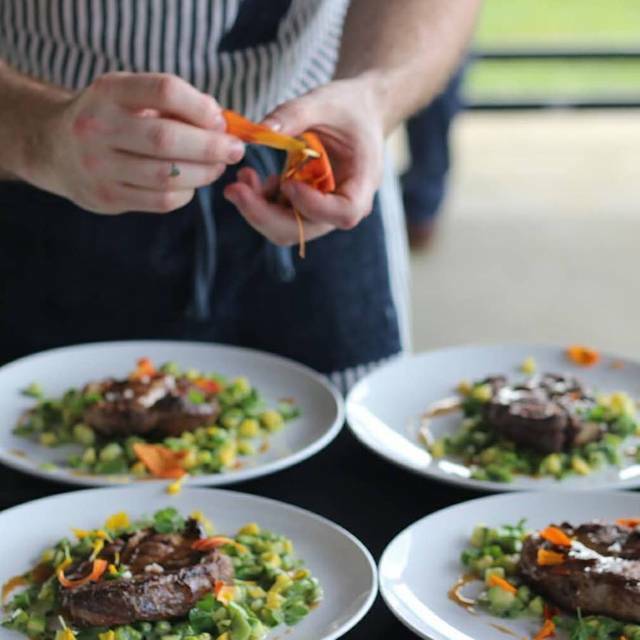 Came as a party of three and tried a few things from each section of the menu- and it was stellar all around! Easily one of the best meals I've had in Baltimore and made me appreciate what's available in the winter. The mushroom stew and beet salad were at the top of my list. I can't wait to come back as the seasons fully change & celebrate what's growing. Thanks! I knew we were in for a special experience, but wasn't anticipating how good the food would be. Simply brilliant. The house-made ricotta was perfect. The Brussel Sprouts were prepared in a way I've never seen before, they were cooked but feathery and the flavor was perfect. The Braised Beef Coppa was cooked perfectly, pulled apart easily, and was full of mouth watering savory flavor. Chris and his crew really know how to do it right. This place is a gem and I recommend it to everybody! This is a great place with different food. I have been a few times. The food is really good. Service is excellent. 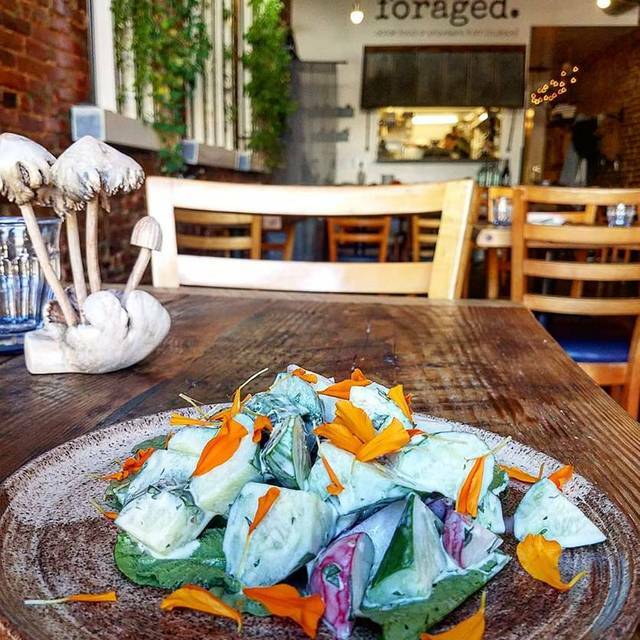 Foraged is definitely one of the best restaurants in Baltimore. Still, the food was somewhat uneven. 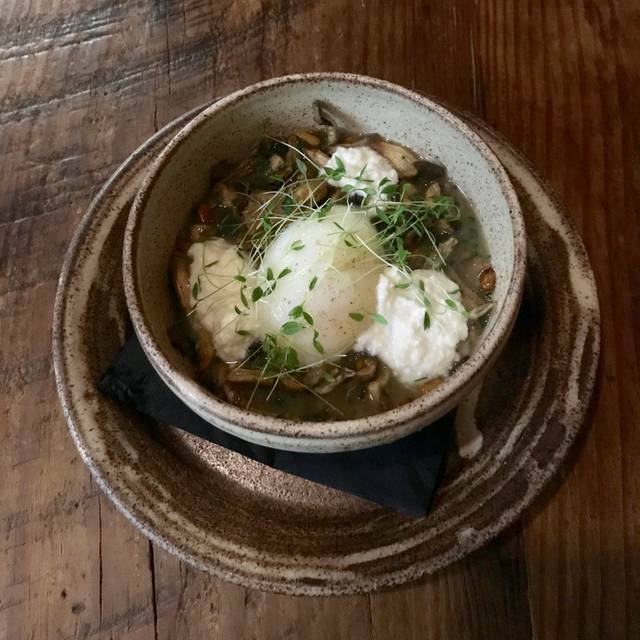 The mushroom soup was excellent, the broth was rich, the homemade ricotta made every bite a little different, sometimes creamy, sometimes broth and mushrooms. The best mushroom soup I think I have ever had. The duck was also very good. Perfectly cooked and tender. The brussel sprout leaves that accompanied the duck were also very flavorful and different. Unfortunately, the lamb dish lacked flavor and the pigs ears were so over-salted that they were almost inedible. 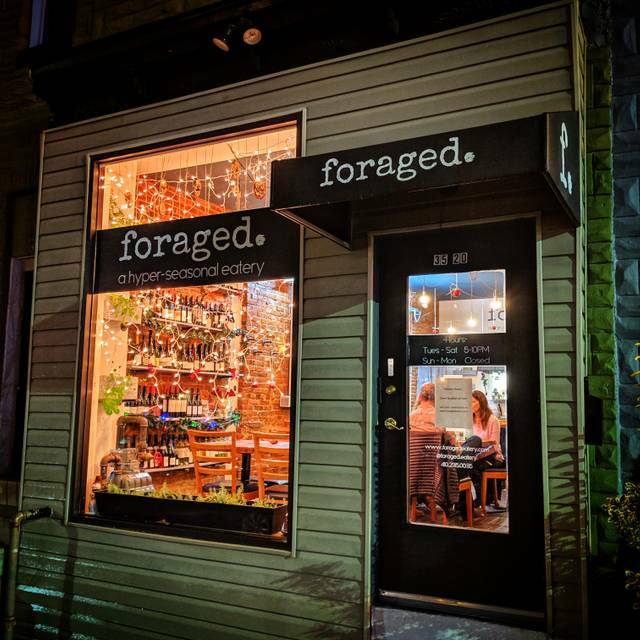 Nonetheless, I would recommend Foraged, because excellent restaurants are so difficult to find in Baltimore. Chris Amendola is a passionate person. Being a chef is just a convenient medium for his expression. You can feel the humanity in his food, in the ambience, in the way the servers explain the cuisine. There is an overall aura of kindness that prevails in his restaurant. I would gladly return over and over again. I look forward to the seasons and the personal touches he will bring. Thank you Chris and his kitchen crew. Thank you to our wonderful server/sommelier/maître d whose name escapes me but whose manners and knowledge will not be forgotten. Thank you for making a fantastic evening. A worthy successor to the space previously occupied by Aromes. It is not fair to compare with the high end haut cousine of Aromes, Foraged is much more simple fare, but nicely prepared, creative, very inexpensive and the space is warm and intimate. Service was excellent. A very creative wine list that is diverse (wines from Uruguay!) and fairly priced (are you listening Alex Smith?). Definitely will return. Excellent creative menu with a number of things to try across flavors that are unique to Foraged (locally at least). And great wine specials too. Great place, try the mushroom soup. Will be back soon. We had an exceptionally delicious meal and were impressed by the service and uniquely peaceful, lovely atmosphere. I highly recommend Foraged. Not everything was foraged (it’s Feb, after all) but I appreciated the variety of local food on the menu. Food was creative and excellent, but a bit over-salted. Otherwise a wonderful experience. I would go back. Menu changes. Did not try the pig parts, so can’t comment on those. The food was amazing, and the atmosphere was truly unique. I cannot wait to return. My only complaint was that I wish the server had informed me just how small the portion I ordered was. Despite that, the flavor made up for it. This place was fantastic. Good atmosphere, pretty quiet, and wonderful service. Our server gave us great tips on what's good on the menu based on what we like, and she had good wine suggestions as well. Speaking of wine...she got me the wrong glass of red wine. She caught her own mistake, and came back to the table to ask if I'd like to switch it out. I told her it was fine, and that I would drink this glass. No worries. She ended up taking it off the bill entirely anyway. It's a small thing, but I appreciated it. Quick tip: Get the bread served with slow roasted garlic and housemade ricotta. It's a very simple dish, but incredibly delicious. Casual atmosphere for a fun food adventure. New-to-me foods like lamb neck with apples and Brussels sprout marrow. Delicious! Servers were helpful and attentive and added to a nice dinner out without kids (my kids would have had a challenge finding something to eat). I feel lucky to have a place like this within walking distance. And try their chocolate bars- really good. My boyfriend and I loved this place! We went here for our Valentine's Day dinner date. The food was fantastic and the presentation of each dish was amazing, it was truly the full eating experience. We had the fried oysters, bone marrow, duck, and lambs neck. I have never had bone marrow or lambs neck and they were absolutely fantastic. The staff was wonderful, gave great recommendations, and were attentive and friendly. Highly recommend and will absolutely be coming here again! This was one of the top three meals and dining experiences I have ever had! The food was excellent and so much better than we expected. We also liked how small and quiet it was. A great find! Incredible food and experience! Don’t miss this hidden gem!